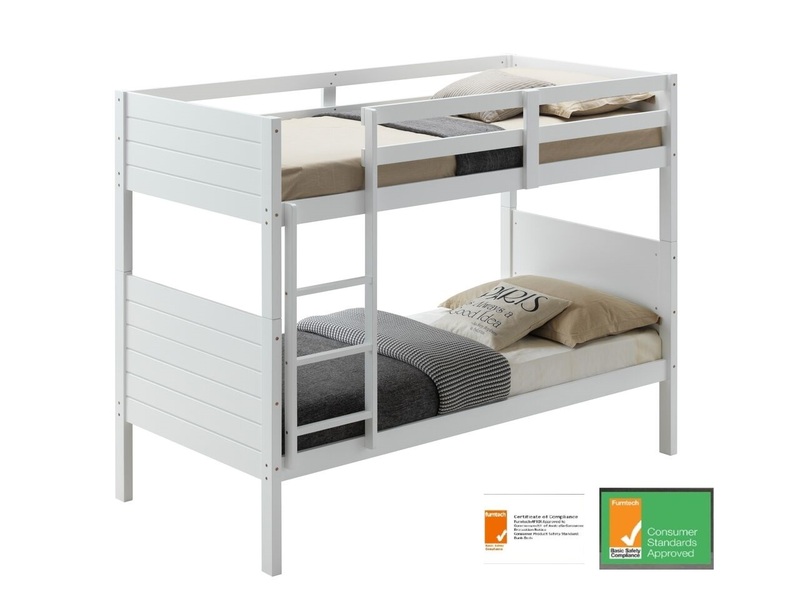 Hardwood Timber Single Bunk Bed Frame in white. 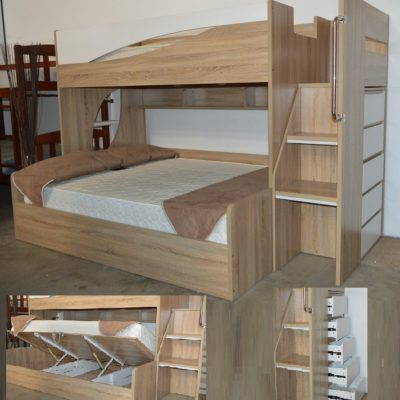 You are Purchasing a quality timber bunk bed. 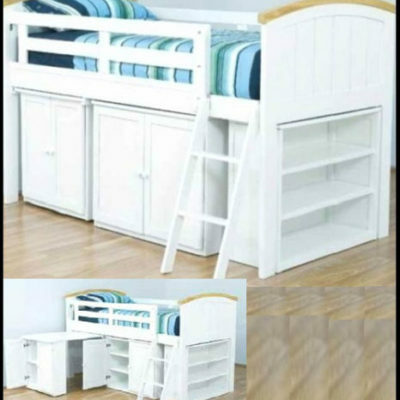 This bed separates into TWO single beds if needed. 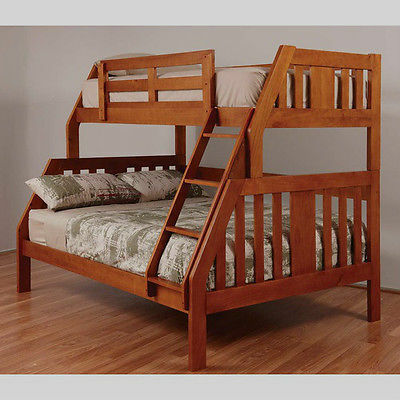 Please Note: this is a quality bunk bed. The bunk you receive is exactly the same packaged and brand new. 2. The side rails and ladder are timber. 3. There are 13 slats on each bed that are bolted to the side rails to stop any slat movement. 4. 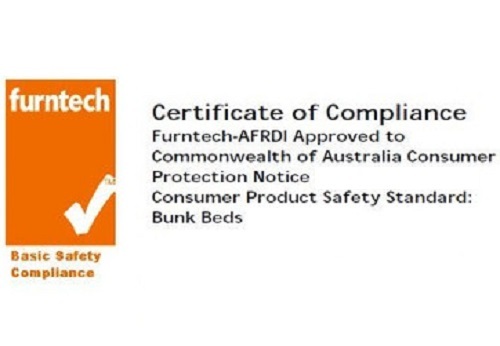 Renewable timbers have been used in the construction of this bed. 5. Ladder can be put on the left hand side. The bunk bed does require easy assembly Approx. 60 mins. Please email or call us on 0435344775 if you have any questions. The Pillows, mattress and linen and all accessories are not included.